Although Filipino goods are more readily available in Southern California than when we first came to the U.S. in the early 1990’s and we can now enjoy our beloved Filipino dishes with relative ease, there is still food from back home I terribly miss. I haven’t had duhat for years decades. Or saresas! Wouldn’t I love to get my hands dirty with a platter of talangka! Or dig into a big bowl of piping hot binatog! Binatog is a popular street food in the Philippines usually peddled from house to house in large metal tins by street vendors. 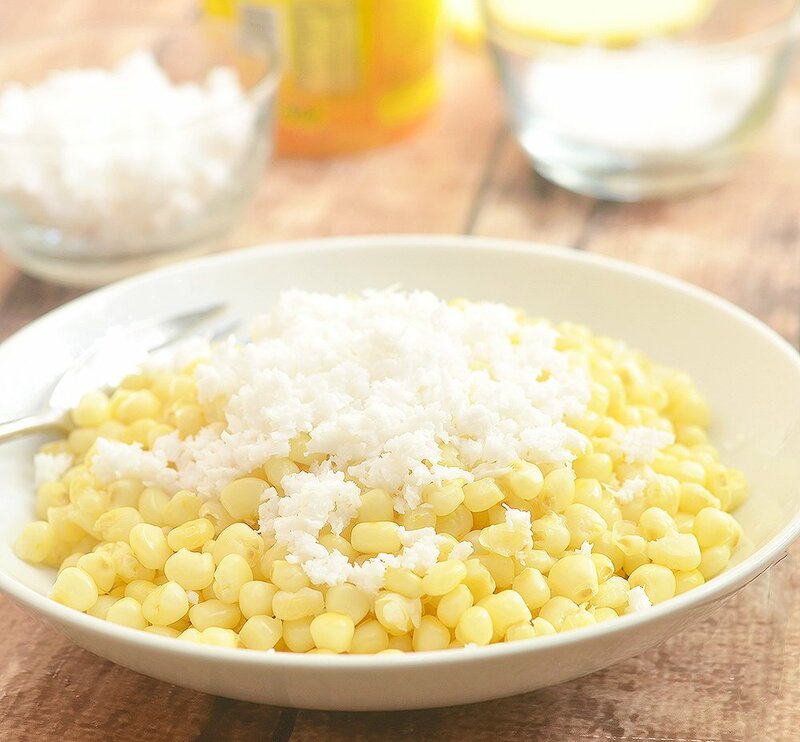 It’s made of boiled white corn kernels topped with freshly-grated coconut, margarine, and salt (or sugar) just before serving. Although corn is plentiful in the U.S., I haven’t come across the type of corn that’s traditionally used in this dish. 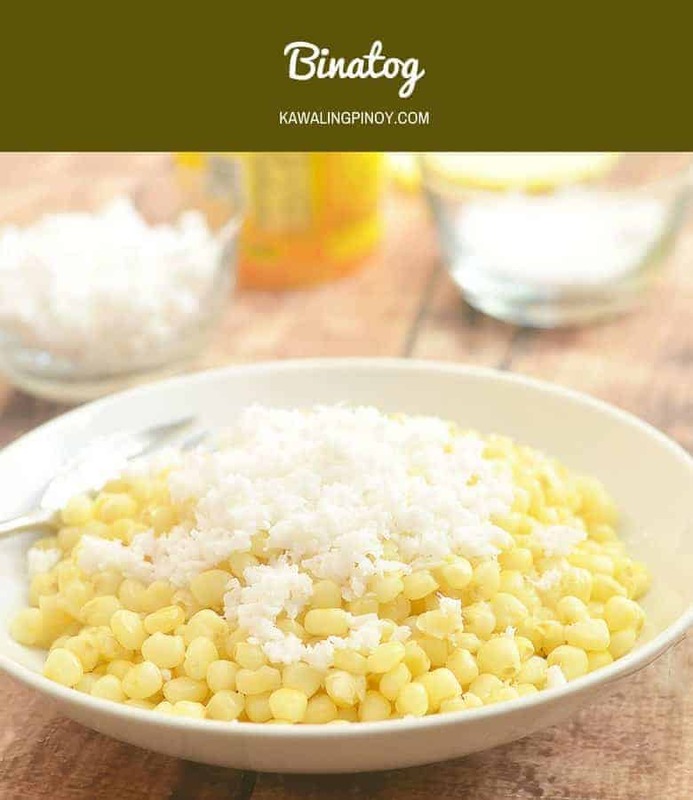 Some recipes I’ve found and tried in the past recommend canned hominy but although delicious, it didn’t quite taste like the binatog I remember. Imagine my excitement when my kumare (the same kumare who gave me the kutsinta recipe) posted on Facebook the binatog she made at home! Since they live in Canada and don’t have access to indigenous products like me, I was curious to find out what she used as an alternative. Ok, guys, I made a booboo here. 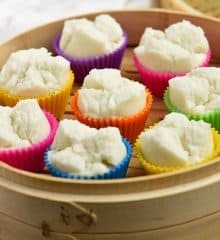 What my friend used is the packaged boiled white corn you can find in the freezer section of most Asian stores. They come already shucked, cooked and usually packed in threes. Binatog is a very easy snack you can pull together in 30 minutes or less. The only time-consuming part of making this dish is removing the corn kernels from the ears. Although faster and easier, please, please do NOT use a knife as you want to keep the kernels whole and not cut through them. The fastest way I’ve tried is to use a fork, just push the tines between the corn kernels and gently pry them off the cob. In a matter of minutes, you’ll have corn ready for boiling. Enjoy! Using tines of fork, pry corn kernels from cobs. In a pot over medium heat, place corn kernels and enough water to cover. Bring to a boil and then lower heat, cover, and cook for about 15 to 20 minutes or until tender. In a colander, drain corn well. Divide boiled corn on serving plates. 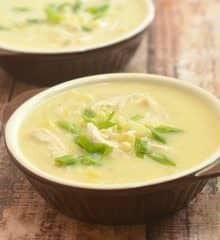 Top with grated coconut, margarine, and salt or sugar to taste. I thought binatog was corn cooked with some lye water. I super love this when I was a kid. Thanks for sharing! Hi, I believe tradition Binatog is made with Hominy which can be purchased canned, and not frozen corn. Thanks for the info. I tried canned hominy but it didn’t taste to me like how I remember back home. It might be because I haven’t had it for a while. 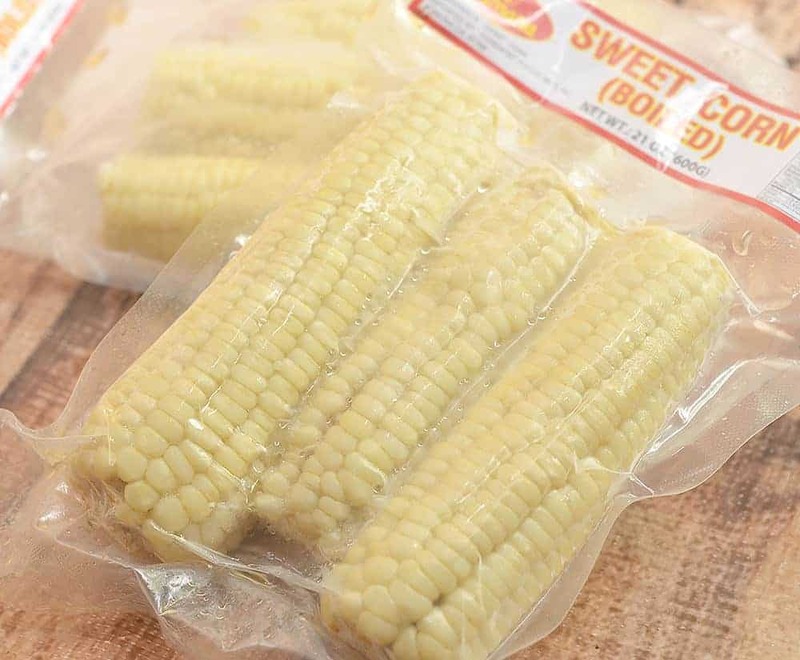 I didn’t’t use regular frozen corn we find here in the U.S., I used boiled corn from the Philippines, native white corn. 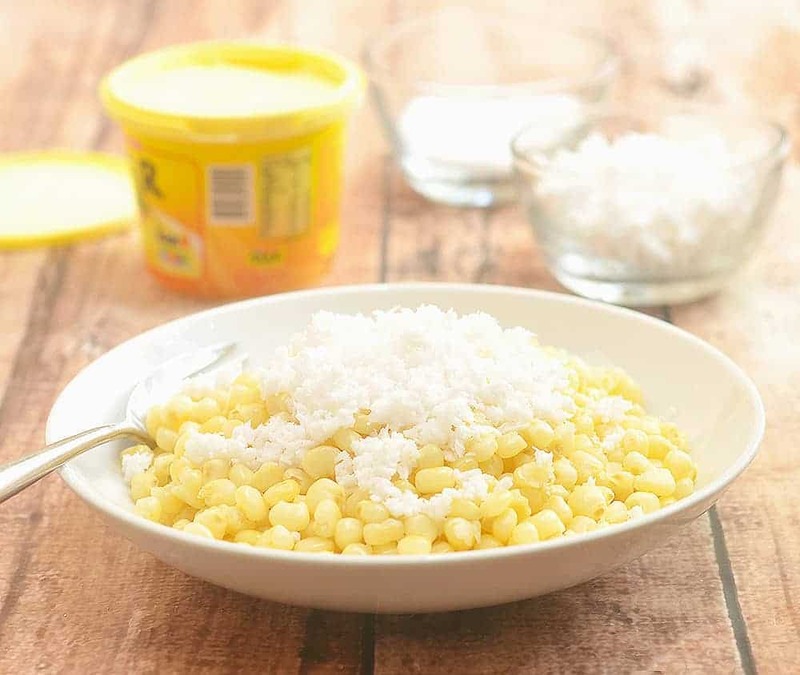 How is it that yellow corn kernels appear in the photo but mentioned as WHITE CORN KERNEL in the recipe? They’re called white corn but they are not as pearly white. The margarine I added might have affected their color, too.